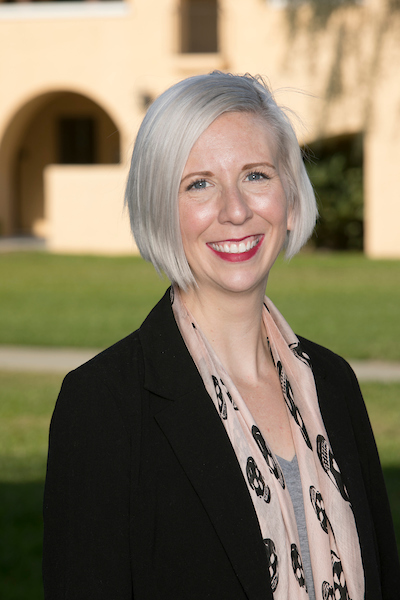 Ashley Krenelka Chase is the Associate Director at the Dolly and Homer Hand Law Library, as well as the Coordinator for Legal Practice Technology and an Adjunct Professor of Law at Stetson University College of Law. In addition to her responsibilities as Associate Director for the library, Ashley teaches courses in Advanced Legal Research and Technology in Law Practice Management. Ashley is a graduate of the 2014 Harvard Leadership Institute for Academic Librarians, recipient of the AALL Emerging Leader Award for Academic Libraries, and a member of the Florida Bar. Ashley’s scholarship focuses on the development of leadership and management skills in Millennial librarians and law faculty, the evolution of student and faculty technology habits in both libraries and legal research. Ashley received her B.A. in English from Bradley University, her J.D. from the University of Dayton School of Law, and her M.L.I.S. from the University of South Florida.